A game that I really had no intention of including on my list until only recently, the sudden announcement of the next installment of one of my favorite franchises had me extremely excited. I’m a pretty rabid consumer of anything Persona-related – having bought a Vita for the sole purpose of playing Persona 4 Golden. 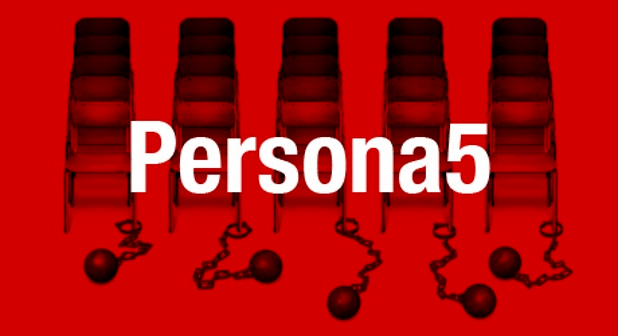 While I love the cast of P4, and have no problem with the game becoming a franchise unto itself, I’m certainly glad to see that P5 looks to feature a completely new story with a new cast. Though I can’t wait to see what the Persona series will do next, the game didn’t make my list mostly because of the fact that “Winter 2014” is a pretty dubious release date. 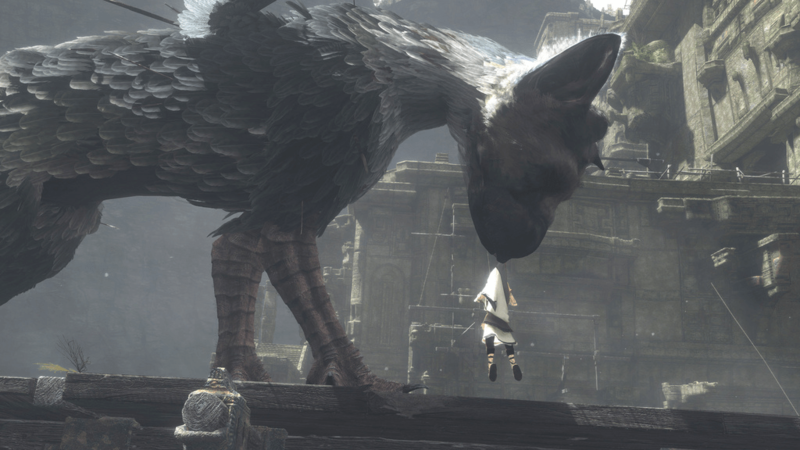 I’m not completely convinced that we’ll be seeing it released next year, at least not in the West. I can dream, but, until we see a more concrete date, I’m assuming 2015. I don’t know about you, but I am totally OK with Troy Baker becoming “The Guy Who Is In Everything.” Getting my first exposure to him through Kanji Tatsumi in Persona 4, he has since given memorable performances in many other titles, including Bioshock Infinite (Booker DeWitt), Resident Evil 6 (Jake Muller), The Last of Us (Joel) and Batman: Arkham Origins (The Joker). 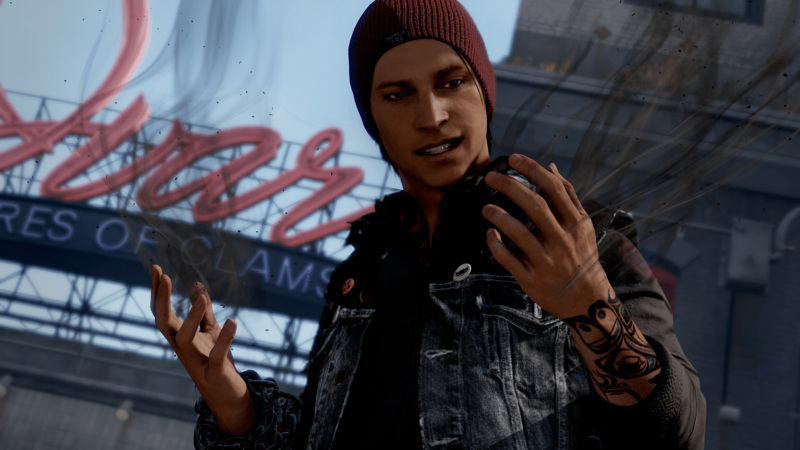 Now, he’s starring in Sucker Punch’s upcoming open-world pseudo-super hero title as the game’s new leading man, Delsin Rowe. Having good talent behind the game is one thing, but I’m also excited just to see the inFamous franchise continue. Without giving too much away, I really didn’t think we’d be seeing another game in the series after the way inFamous 2 ended. I experienced no small amount of disappointment thinking I wouldn’t be running along the rooftops of a big city, slinging lightning at baddies or hurling tornados at giant monsters. While the lightning may be gone, the urban parkour gameplay looks to be alive and well. I’m a little apprehensive to hear that this installment will have a bigger emphasis on melee combat, but I have no reason to think that Second Son won’t be as fun and memorable as its predecessors. Look out! Here’s my total upset that no one saw coming. I have been absolutely in love with the Smash Bros franchise since the original N64 title back in 1999. It’s any Nintendo fan’s dream – seeing a huge mash up of characters from some of the most popular franchises duke it out on battlefields that are just as iconic as the combatants themselves. The cast continues to grow with each new installment, and one of the most fun pastimes leading up to each release is discussing with others who should make the roster this time around. 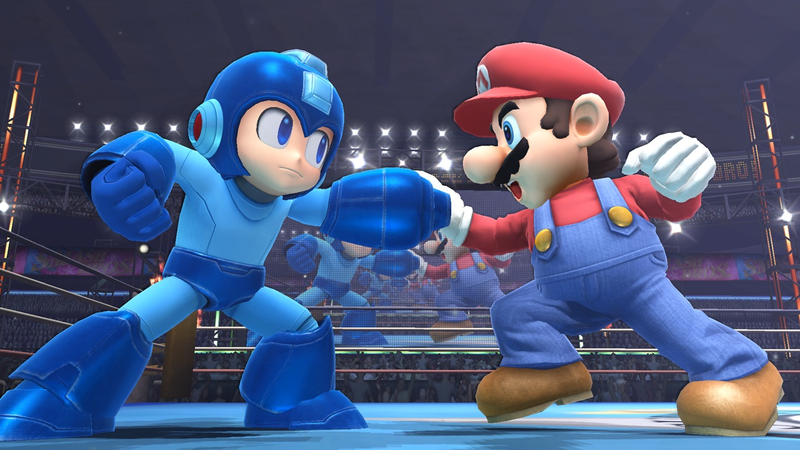 We haven’t seen any new character announcements since the reveals for the Animal Crossing Villager, Mega Man and the Wii Fit Trainer during E3, but I’m confident they aren’t the only new fighters we’ll be seeing. The core gameplay has changed little since the original game, but, then again, why mess with a winning formula? I’m obviously not the only one excited to see the next installment in the franchise either, and I encourage everyone to hop aboard the hype train by checking out our weekly Smashing Saturdays feature. This is a bit of a mixed bag for me. Though I’m only a passing fan of the Professor Layton games, I can’t get enough of the Ace Attorney series. They could have called it Candy Crush vs. Ace Attorney, and still I would have bought it without a second thought. 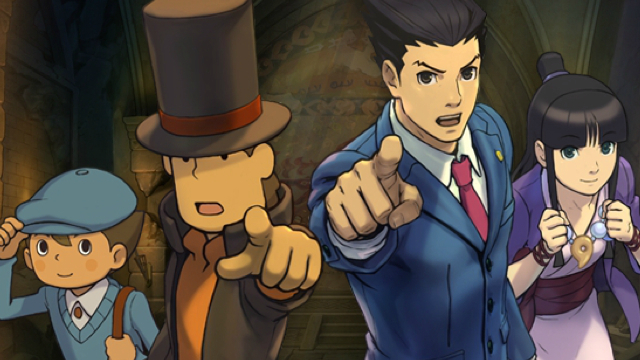 Taking the puzzle-solving elements from the Layton series, and combining them with the courtroom drama of the Ace Attorney games creates an interesting gameplay combination that I can’t wait to sink my teeth into. More than that, though, is my curiosity over how the characters from these two franchises will interact with each other. While both Layton and Phoenix are both working towards a common goal during the course of the game, it is my understanding that the two will lock horns over their different methods. While I’m a big fan of the courtroom mechanics, and can at least put up with the puzzles, this facet of the story is what I’m most looking forward to. Here’s one that I’ve been waiting on for some time. 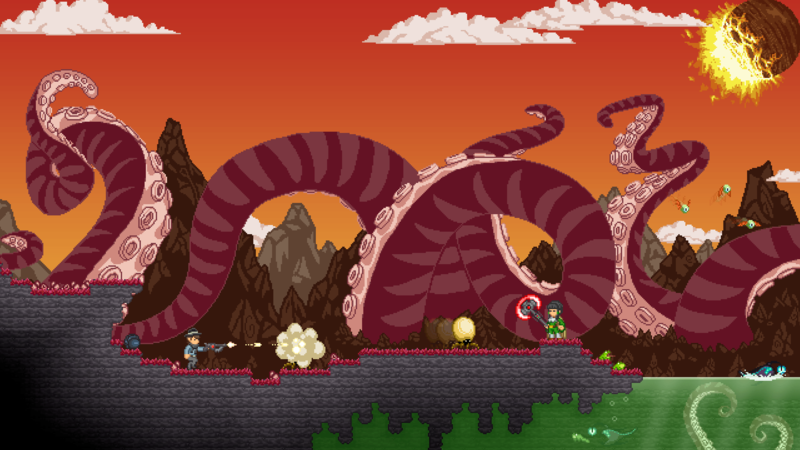 A spiritual successor to 2011 sandbox title, Terraria, Starbound looks to take the general elements of exploring underground and building different structures in a 2D environment, and giving it a sci-fi theme. I greatly enjoyed Terraria, and spent many, many hours with it, but I eventually got bored of the same old explorable areas. I’m hoping that Starbound will be able to address this issue with the procedurally-built worlds, and an infinite number of planets to explore. This, coupled with the fact that there will be towns, quests and materials galore with which to create weapons makes me feel confident that this game will match the charm of Terraria, and take it to new and greater heights. Plus, you know, it has online co-op, and I’m always looking for games that I can play with my friends. While a beta for the game has already been released, we certainly won’t be seeing a full release until 2014. Shut up. This is the year. I can feel it.